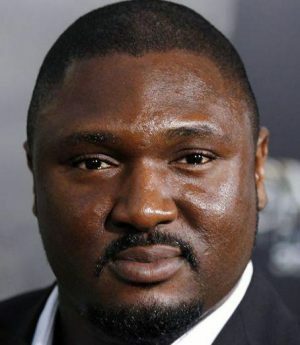 Nonso Anozie is a British-Nigerian actor of stage, film, and television. He is best known for his portrayal of Xaro Xhoan Daxos in the HBO television series Game of Thrones. Anozie is also famous for his roles as Tank in RocknRolla, Captain of the Guards in Cinderella, Sergeant Dap in Ender’s Game, Abraham Kenyatta in Zoo and R.M. Renfield in the NBC drama series Dracula. Born on May 28, 1979 in London, England, Nonso is of Igbo Nigerian descent. His full name is Chukwunonso Nwachukwu Anozie. He graduated in 2002 from the Central School of Speech and Drama. He won the Ian Charleson Award in 2004 for his performance as William Shakespeare’s “Othello”. He made his television debut in 2006 in Prime Suspect 7: The Final Act. *He was born on May 28, 1979 in London, England. *He belongs to Igbo Nigerian descent. *He is a 2002 graduate of Central School of Speech and Drama. *In 2002 he became the youngest person in history to play William Shakespeare’s “King Lear” professionally.